Buyers in Scandinavia, the United Kingdom and Germany can no longer be able to imagine a situation where the purchased goods could not be returned or exchanged. Buyers want a guarantee and security, therefore they choose to shop in e-shops, where it is not only easy, but convenient to return the shipment to the merchant. In Europe, there is a widespread tendency for the buyer to buy different sizes of clothing and accessories in order to try them on at home and return the rest of the items to the seller. It could be argued that it is an additional obligation for the merchant but by offering a convenient return option for its customers, the e-shop has the potential to attract a much larger number of buyers, who, moreover, after a successful experience will become loyal. Survey data show that in Latvia, 27% of buyers who have made purchases in online stores over the past six months have had the need to return purchases to the merchant. The most common reasons for return are related to the fact that the customers are not satisfied with the quality of the product received, the product is broken or does not meet the expectations, for example, is of the inappropriate size. 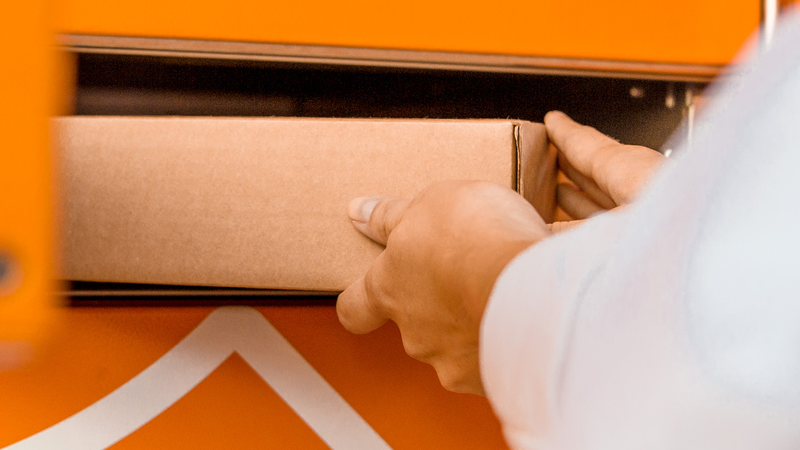 Following up on market trends, Omniva is also developing a return shipping service. 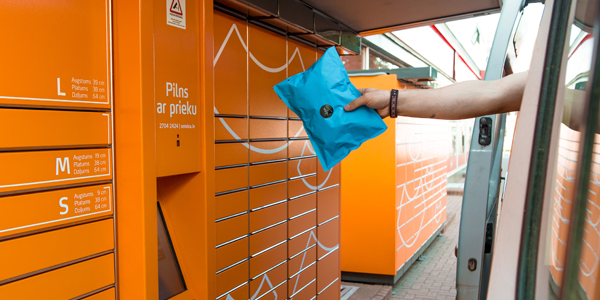 At present, it is mostly possible to return it to the merchant within 14 days after receipt of the item in the Omniva's parcel shop by using any of the 116 Omniva parcel shops all over Latvia. In addition, we offer a customized service tailored to the individual needs of business customers, providing for longer return periods. We have also simplified our own return process service by offering to send a return code through the Omniva system directly to the buyer's telephone number or e-mail without the need for additional data. Thus, the return process to the end user is quite simple, since the received return code can be entered into any parcel shop and it will print the address card with which the goods can be returned to the merchant. For example, ASOS, a well-known clothing brand in the world, is already successfully providing a convenient way to send back items directly through Omniva packages. However, the return of goods is not required only for newly purchased products. There are also goods to be sent to guarantee services or to ensure that they are changed so that the buyer can get a new item instead of the damaged one. There are also merchants who include the service in the offer - the option to replace the old version of the product with the new model. Omniva is also a promising partner for offering such services, as it allows users and end users to be reached quickly and easily in regions and small towns. Omniva is a partner to SIA Lattelecom by damaged equipment exchange service using Omniva parcel shops. Normunds Melnieks, Head of Performance Efficiency Division at Lattelecom PPUD, explains: "Previously, Lattelecom customers had to bring damaged devices to Lattelecom stores. Currently, Lattelecom in cooperation with Omniva parcel shops has increased the number of damaged equipment replacement sites, and customers, having received their new equipment, can immediately return their old equipment to Lattelecom with the help of a parcel shop. " Buyers in Scandinavia, the United Kingdom and Germany can no longer be able to imagine a situation where the purchased goods could not be returned or exchanged. Buyers want a guarantee and security, therefore they choose to shop in e-shops, where it is not only easy, but convenient to return the shipment to the merchant. In the first six months of 2016, the commercial revenue of Omniva increased by 24% compared to the same period of the previous year. The company grew in international business and in the domestic Baltic market; in the latter, from the perspective of the information logistics business, as well as parcel business. The postal services provided on the Estonian market were characterized by continuously decreasing revenues. Omniva has reported that its revenue for the first quarter (Q1) of 2016 was up 23% on last year at €20.6m.